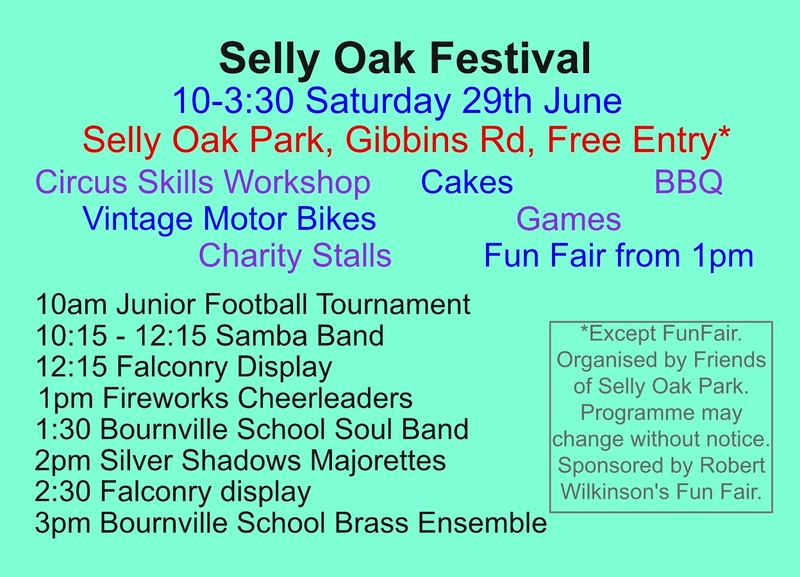 Begin at noon in Selly Oak Park and ramble to Halesowen along the Lapal Line and the proposed "OTT" route through Woodgate Valley, pausing for brief explanations. Take a longer pause in California to eat a self-provided picnic lunch, and conclude with a self-provided picnic tea on arrival at The Leasowes. (You may wish to participate in friendly exchanges of cake?) This may be followed by an optional visit to a local watering-hole. Email membership<at>lapal.org if you plan to attend. The public consultation for Dog Control Orders has started. 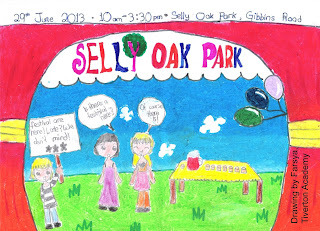 Many notices have been attached to parks notice boards - including those in Selly Oak Park. Please read it through and get your comments in writing to: The Head of Environmental, Development & Planning Team, Legal and Democratic Services, Legal Services, PO Box 15992, Birmingham, B2 2UQ (Quoting Ref: LS/PKU/126171) or submitted by email to Rahema.Begum@Birmingham.gov.uk by Friday 20 September 2013. We'll post more details here soon. In the meantime reserve Sunday, 15th September 2013. The Annual General Meeting will be held at 3pm in the Scout Hut, Gibbins Road. 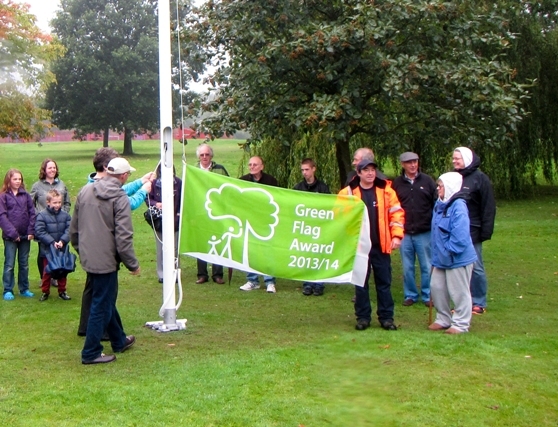 Following that, at about 4 pm, we'll raise the Green Flag at the new flagpole near the Park Lodge in Gibbins Road; and then enjoy a few light refreshments. Please e-mail info @ friendsofsellyoakpark.org.uk if you plan to stay for refreshments. In a bid to deter deer from damaging trees in the park we have treated a number of the damaged trees with a combination of clove oil, almond extract, pepper dust and flowers of sulphur - quite a smelly combination. Lets hope it works. Treated trees can be identified by the pale yellow deposit on their bark. 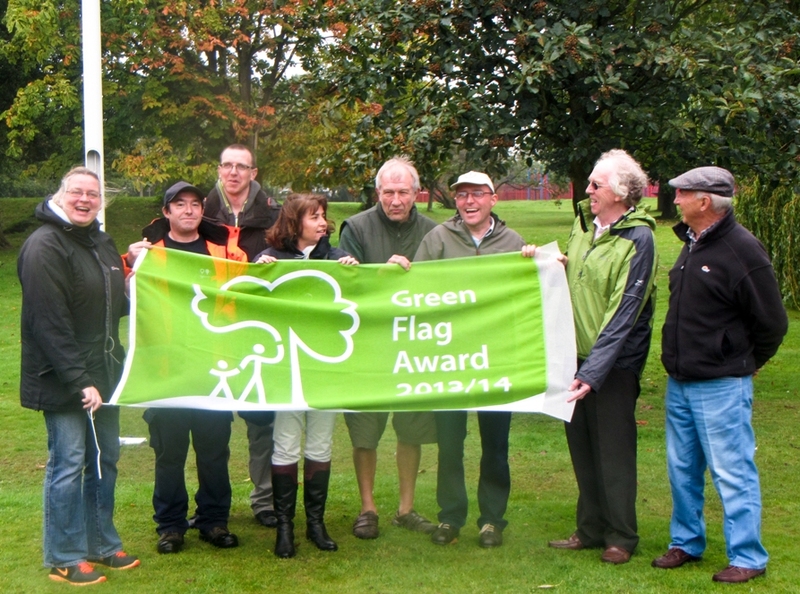 We are delighted with the news that Selly Oak Park has been awarded Green Flag Status following a comprehensive assessment earlier this year. We thank Birmingham City Council and Quadron Services for their hard work in preparing the park for its inspection and for keeping the park in good condition all year round. 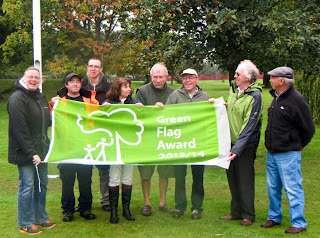 We also thank our partner groups, Ariel Scouts and Lapal Canal Trust and all users of the park for their support. An iPod was handed in at today's Selly Oak festival. 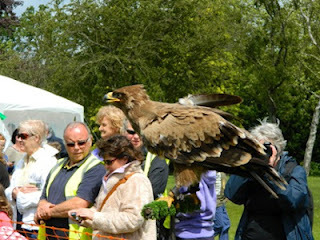 e-mail festival @ friendsofsellyoakpark.org.uk to retrieve. Earlier in the year we showed a picture of damage to some of the trees in the park. At first we thought this was vandalism. Then someone looked closely at the pattern of the damage and suggested that maybe Montjac (also called Monkjack) Deer were causing it. 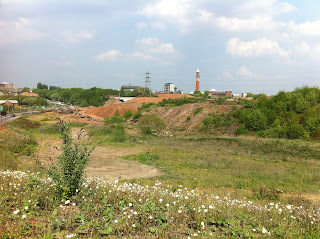 There are many open spaces in Birmingham; and many of those are linked by a network of green corridors. These corridors make it very easy for wild animals to roam through the city, and Montjac Deer have been seen in other parks and open spaces. Then someone noticed that the same sort of damage was caused higher up the trunks of some of the trees - too high for Montjacs which are not very tall. This week the culprit has been spotted - damaging the trees. 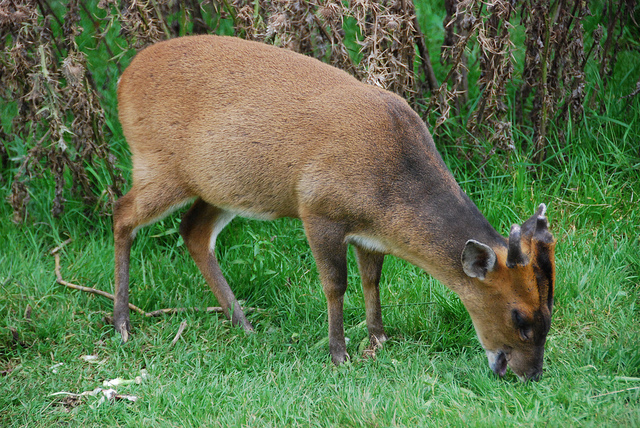 It was a Fallow Deer (bigger than a Montjac) rubbing its antlers against the trees to rid itself of its felt (the furry covering on its antlers). The deer do this at the end of winter or in the springtime, which is why we had first spotted the damage back in February. This deer ran away, off towards the old canal and the cover there, off in the direction of Weoley Castle, before anyone could photograph it. But the mystery is solved. How interesting - 2013 with deer in the park again. Back in medieval times the area of the park and the land all around it was a deer park. Working party to continue the restoration of Harborne Wharf, part of the restoration project for the Dudley No 2 Canal. Sat 6th April 9am - 3pm meet at the Scout Hut on Gibbins Rd. 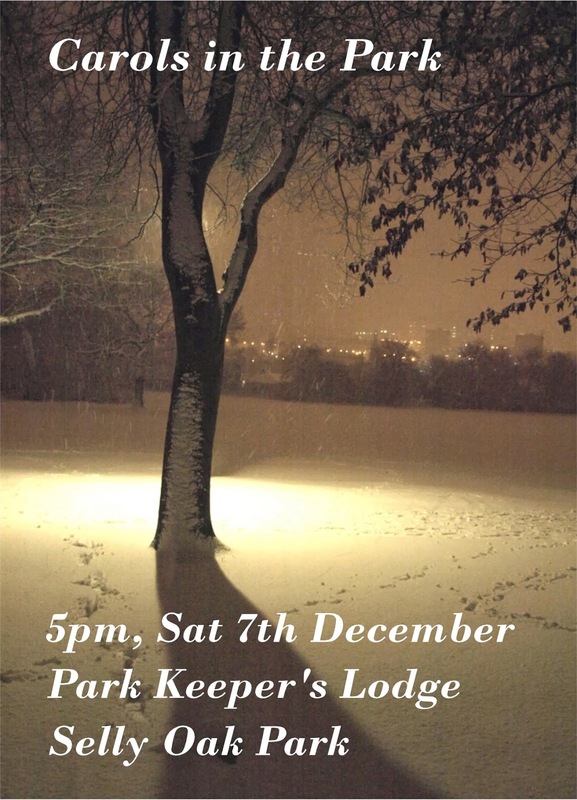 Bring gardening gloves and stout footwear. Volunteers insured via FoSOP. If you see anyone doing this and damaging trees in the park please report it on 0121 454 7810 immediately. 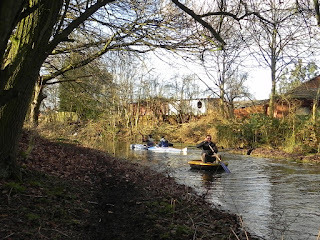 Anyone walking the path along the northern edge of Selly Oak Park in Birmingham on Saturday 3rd January would have seen an unusual sight – boats on the Lapal Canal. The boats in question were in fact a canoe and a coracle, belonging to members and friends of the Inland Waterways Association’s (IWA) Birmingham, Black Country & Worcestershire Branch. After navigating from one end to the other of the section that is in water a couple of times, the boating expedition turned into a work party. Loppers and a bow saw were utilised to clear many of the overhanging branches that were obstructing passage of these small craft. One of the volunteers was Peter Fisher, of the Lapal Canal Trust, who appreciated the additional help continuing the vegetation clearance that he has been carrying out recently. A full bin bag of rubbish and litter was also collected during the afternoon. IWA Birmingham, Black Country & Worcestershire Branch is keen to support the Lapal Canal Trust at the current time, while proposals for a supermarket development just the other side of the main road will affect the line of the Lapal Canal between Selly Oak Park and where it would join the Worcester & Birmingham Canal. Note: Although the water pictured is shallow, park users should exercise caution near water in the park. These boaters had friends on the bank to assist them if they got into difficulty. 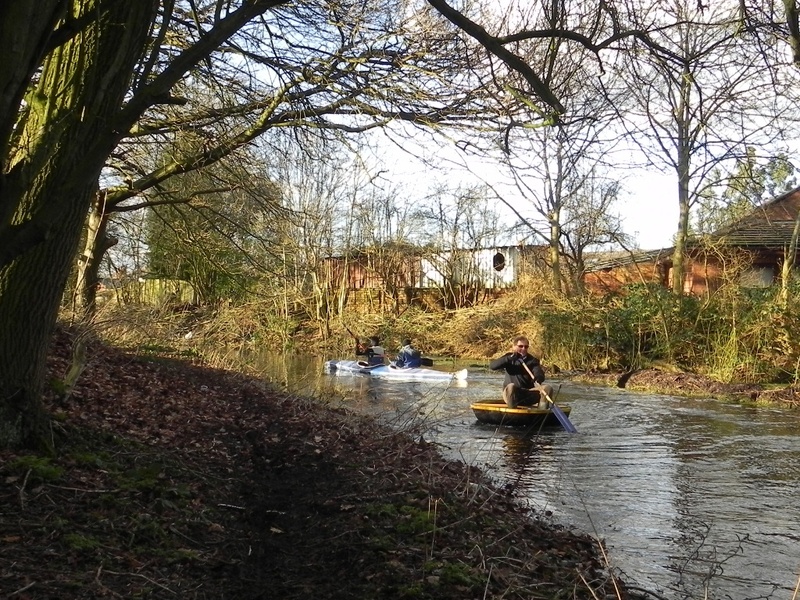 The Friends of Selly Oak Park do not recommend boating on the disused canal as it lacks proper safety features and may contain hidden hazards. We're linking in with Birmingham South police to co-host a LIVE webchat featuring neighbourhood policing inspector, Simon Inglis, on Tuesday 5 February between 6pm and 8pm. The webchat will offer local people the opportunity to raise any concerns or queries they may have. The Inspector will attempt to answer all of these as efficiently and openly as possible. 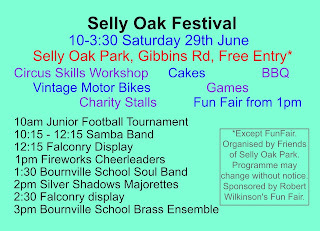 The Selly Oak Festival 2013 will be on the 29th June in Selly Oak Park. If you would like a stall please complete this booking form and e-mail it to festival @ friendsofsellyoakpark.org.uk.